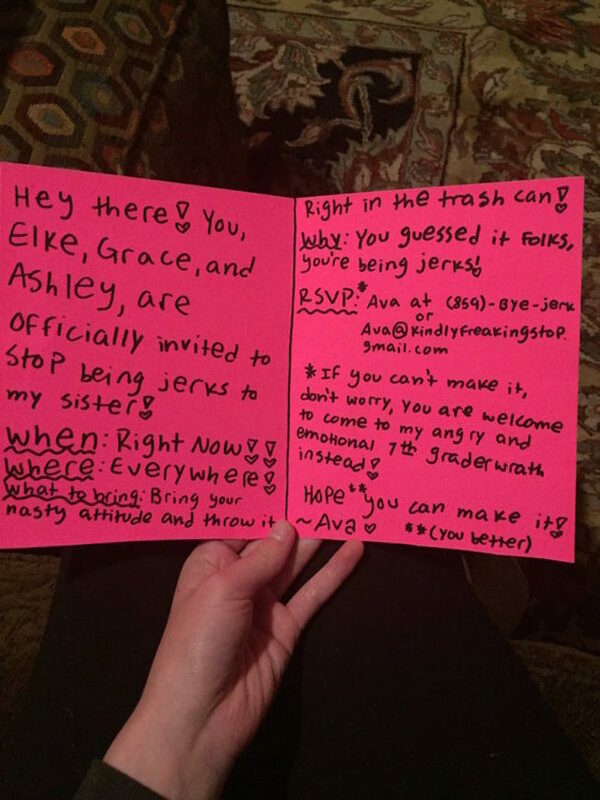 A babysitter named Daisy shared a hilariously savage fake party invitation back in April, written by a 12-year-old that instantly went viral. When a 12-year-old that this twitter user was babysitting for heard of her little sister being picked on, she decided to, as the saying goes, kill them with kindness, and invite them to a fake sleepover. 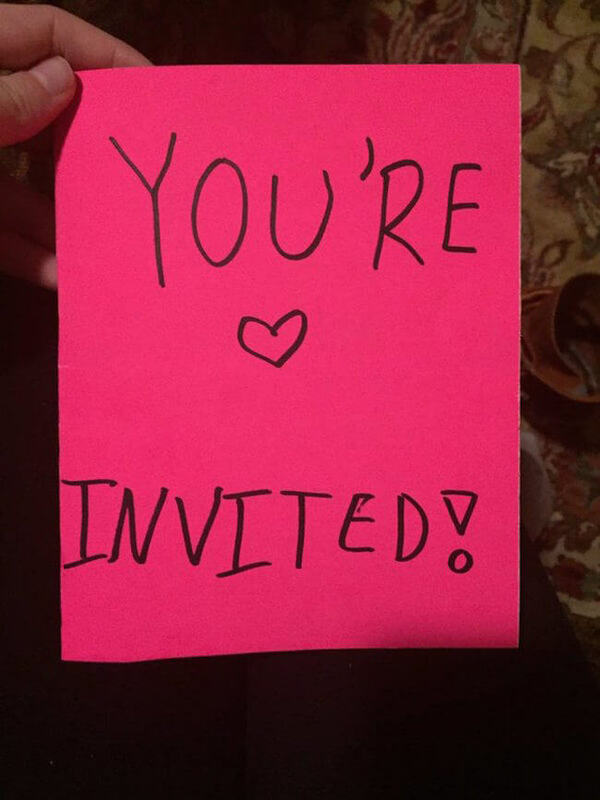 Upon first glance, the invitation looks charming and sweet, starting out cheerfully. However, it is once you open the card that things take a quick turn. The bullies get a quick lesson in reading the fine print. 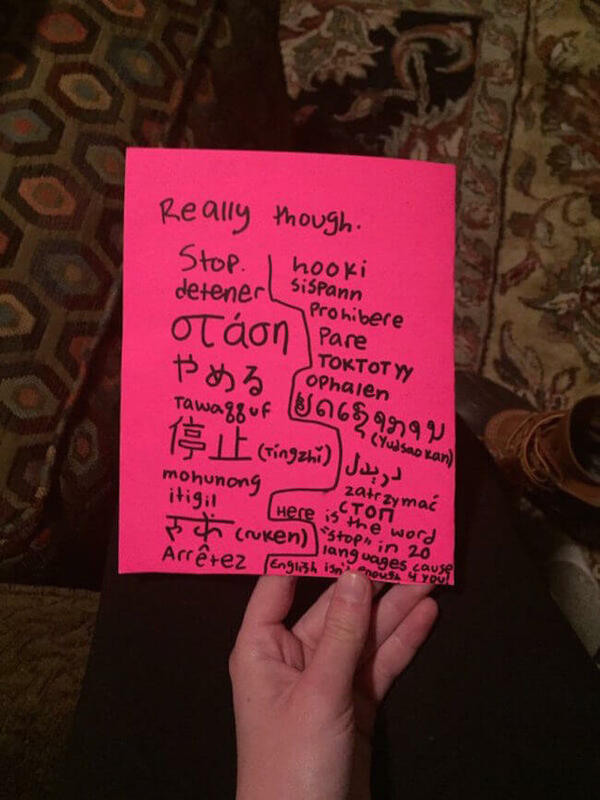 She was even kind enough to provide alternate languages, you know, in case the bullies couldn’t understand the message in English. 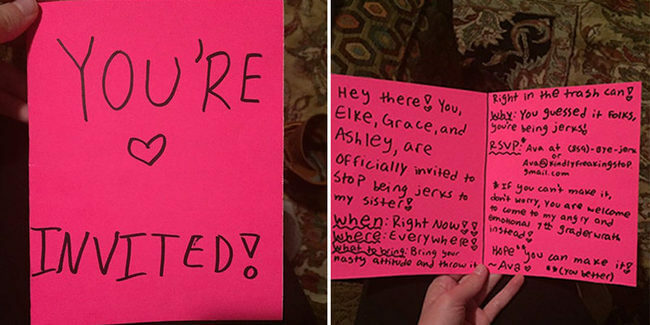 This little girl has quickly become an inspirational bully-shaming superhero overnight.